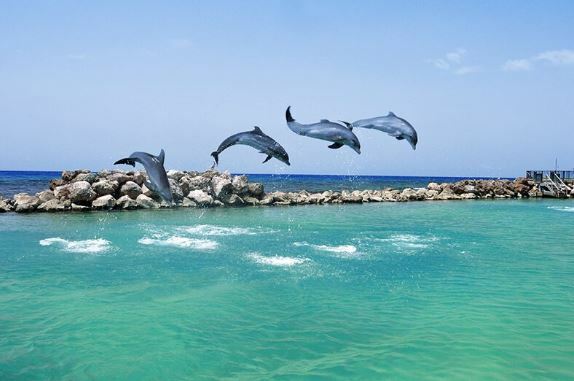 A visit to Dolphin Cove, Ocho Rios, combines excitement and adventure while on your holidays in Jamaica. 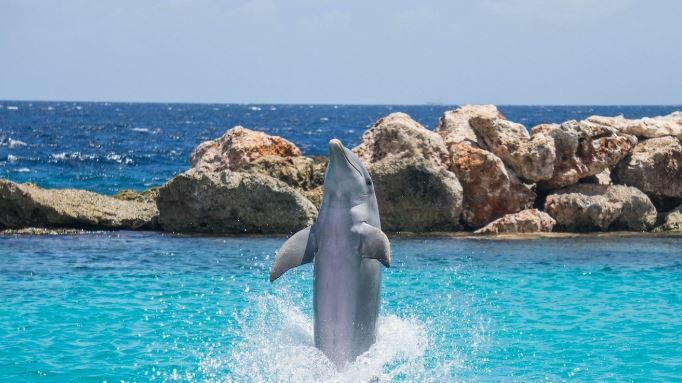 One of the many things that makes Dolphin Cove special is that you can live the experience of swimming with dolphins in the natural Caribbean Sea. You have the opportunity to enjoy the company of different fish, rays, and other forms of natural sea life. Dolphin Cove truly has something for everyone. To help you and your loved one to make the most of your time in Dolphin Cove Jamaica, here are our top tips for your visit! Make sure to book the excursion of a lifetime that will not only entertain, but arouse feelings of happiness, joy and love. Dolphin Cove Jamaica is a natural cove surrounded by five acres of lush tropical rainforest. It is considered Jamaica’s number one marine attraction, where visitors are sure to have an unforgettable experience. We recommend that you book your place on the excursion at least a couple of days before your visit to the cove. This will avoid disappointment in the case that places are fully booked. Are you and your loved one courageous? Then make sure to sign up to participate in the “Swim, Hold, and Feed the Sharks” programme. This is a fantastic opportunity to swim with sharks, as well as stingrays. There are some rules put in place for the safety of you and the animals. Although cameras and video cameras are allowed at Dolphin Cove, they are prohibited in the dolphin area as they may distract the dolphins at play. This is a rule guests are asked to respect during their visit to Dolphin Cove Jamaica. It is a good idea to leave all jewellery behind in your accommodation. With lots of excitement in and outside of the water, you do not want to lose your precious jewellery. Your jewellery also may scratch the beautiful dolphins and the other creatures you come into contact with during your visit. Remember to take a walk in the Jungle Trail. Dolphin Cove Jamaica is full of natural wonders and beauty you must see. At this cove in Ocho Rios, there are lots to see outside of the water too. 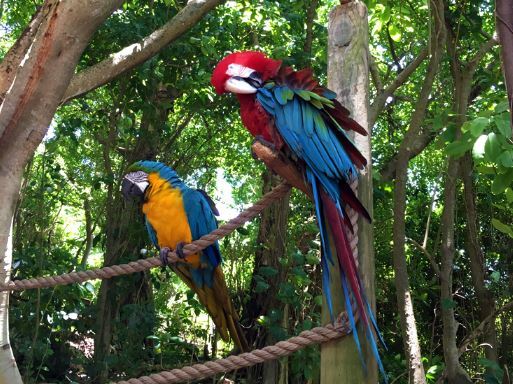 Enjoy walking through the magnificent Jungle Trail, where you will see many different wild animals, plants, and trees! Have you visited Dolphins Cove Jamaica before? Tweet us @couplesuk and let us know about your experience!